American foreign policy took center stage in this election as people became concerned about the war in Europe. 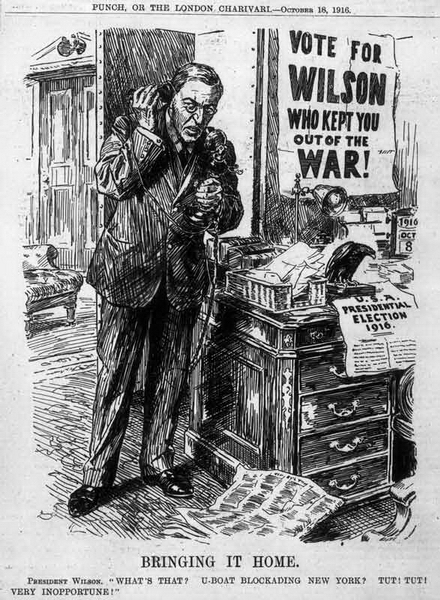 Wilson's campaign touted that Wilson kept the nation out of war. The Republicans spread doubt that Wilson would continue his neutral stand. Wilson declared his support of universal woman suffrage. This helped him in states where women could already vote. 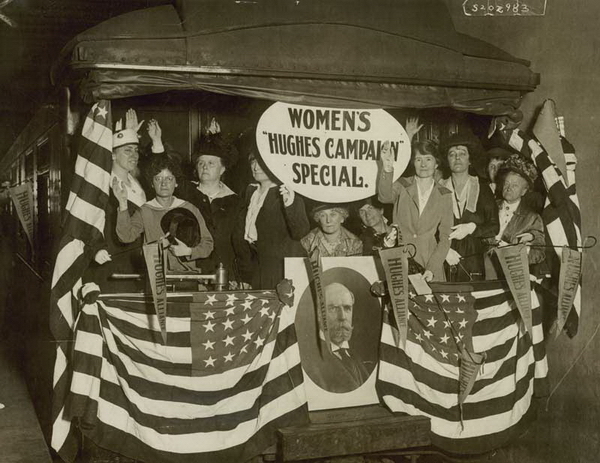 Campaign train for Charles Hughes, 1916. 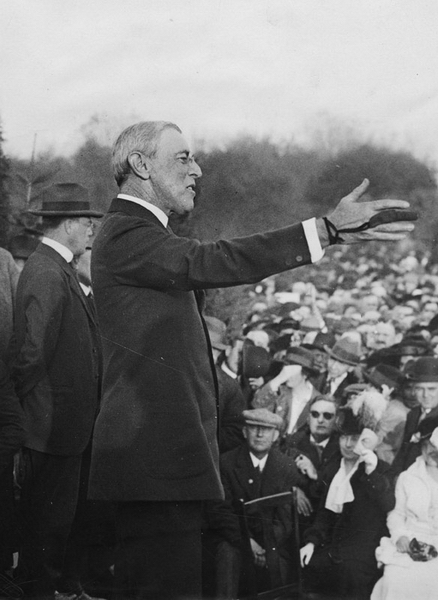 Woodrow Wilson campaigns in New Jersey, October 28, 1916. Anti-Wilson political cartoon. "Punch," October 18, 1916.